Preheat oven to 200°F. Line 2 baking trays with parchment paper and set aside. 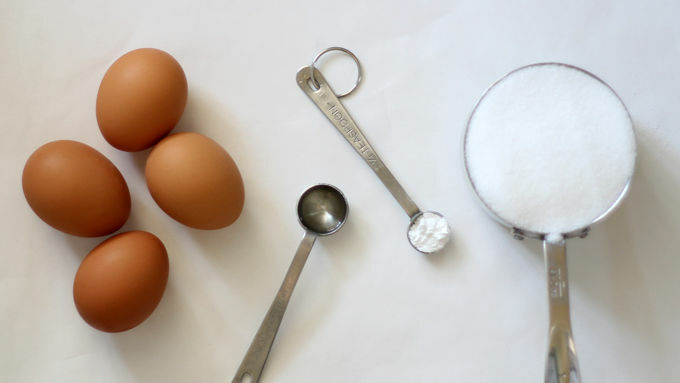 Place egg whites in the bowl of a standing mixer fitted with a wire whip, or in a large bowl if you are using a electric hand mixer. Add almond extract and cream of tartar. 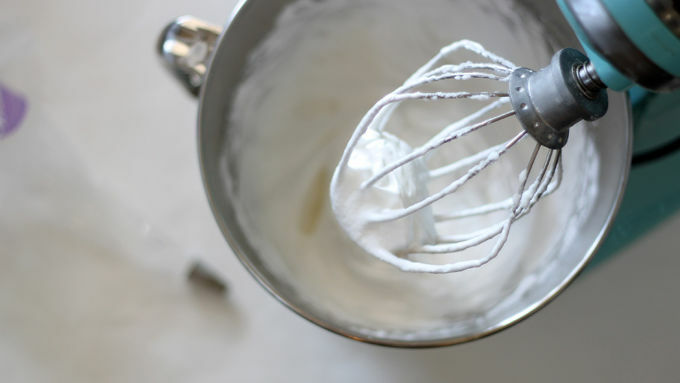 Whip at high speed until the mixture looks like snow with stiff peaks. Gradually add sugar while mixing at medium speed. Switch to high speed until the mixture begins to shine. Assemble the decorating bag with tip and fill with the meringue. Pipe a ball for the snowman head and pipe the body by piping meringue back and forth on the tray. Fill baking trays with snowmen heads and bodies (they’re separate). Bake snowmen for 2 hours or until meringue sets but is not yet browned. Turn off oven, open the door slightly and let snowmen sit in the warm oven for 2 more hours. When cool, assemble the snowmen. Pipe some frosting on the underside of a snowman head and rest on a snowman body. With the decorating icings, pipe the eyes and mouth in black, the carrot nose in orange, the buttons in any desired color and the stick arms in brown. You can also decorate the snowmen with sprinkles and candies if you prefer. 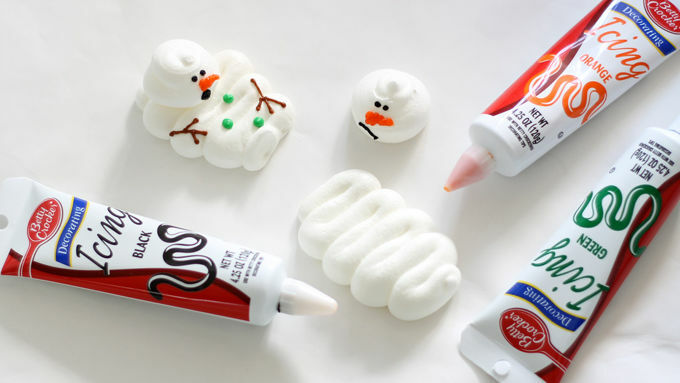 Adhere to the snowmen with light corn syrup or dabs of frosting. 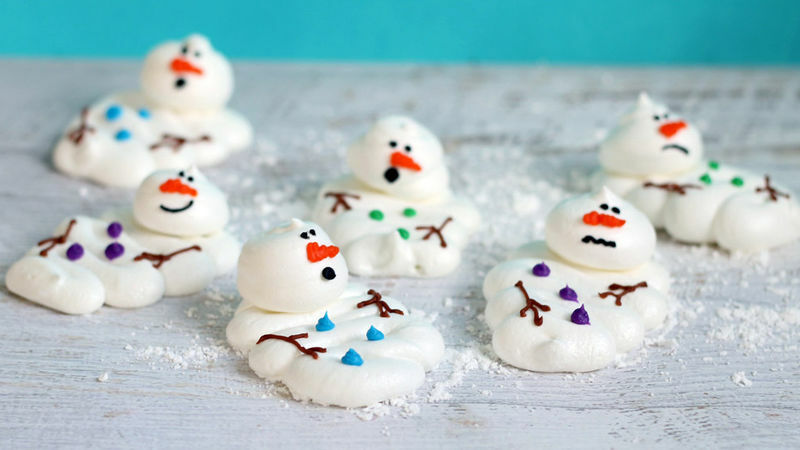 Sweet, delicate, snowy meringue is just right to make these cute melting snowmen cookies. Some people have found their success in medical research or pursuing world peace. Me? My shining moment is the melting snowman cookie. That’s right. Yours truly. This very person in front of you is the inventor of the now-classic (I’m classic now?) melting snowman cookie. I remember the day back in 2008 when I came up with the idea and posted it on my blog. And then in a surreal chain of events that only the internet can provide, I watched as the idea spread from blog to blog and then took over the world (well, Pinterest anyway) as the New Christmas Cookie. Target even sells a melting snowman cookie kit! It would also have been nice to receive credit, accolades and riches from the whole thing, but that is also life on the internet. So I’m branching out from cookie dough and icing and turning to delicate, melt-in-your-mouth meringue for my next melting snowman. Making these cuties brought me right back to 2008. 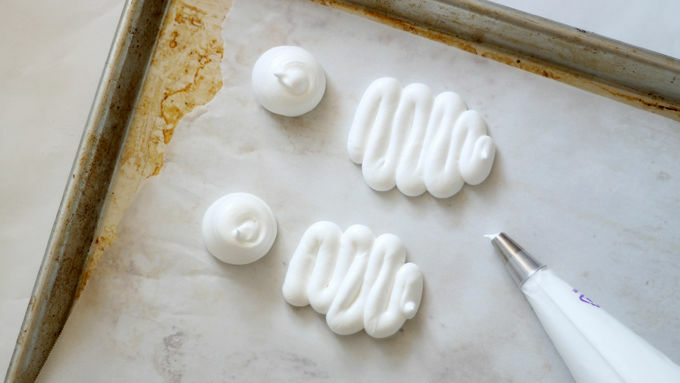 While the idea of meringue and whipping egg whites may sound intimidating if you’ve never made them, they’re actually easier to make than decorated cookies.